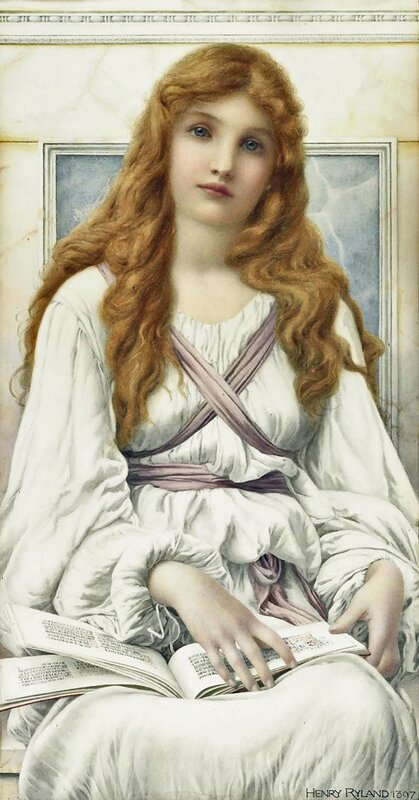 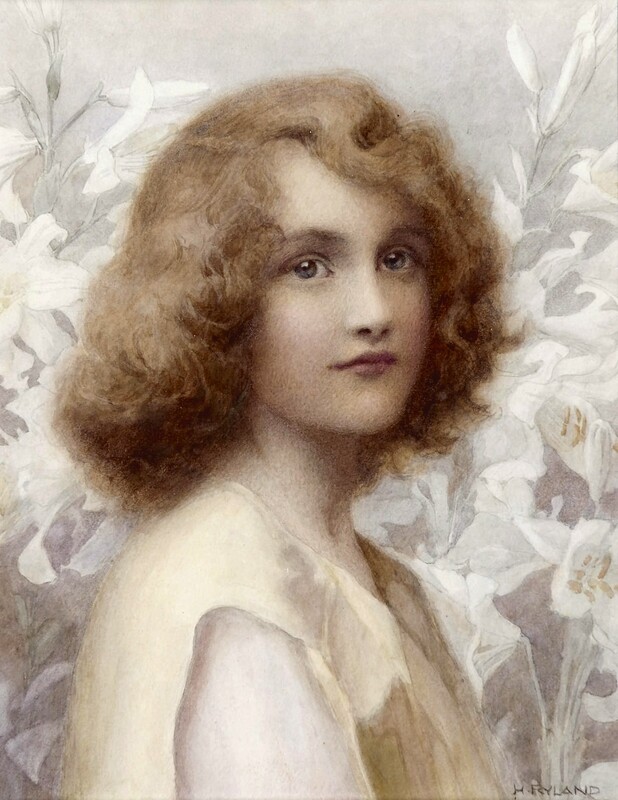 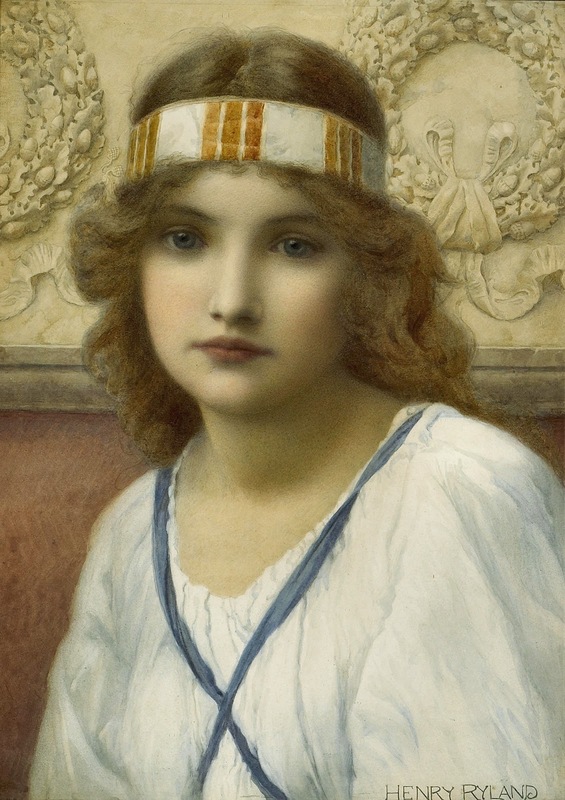 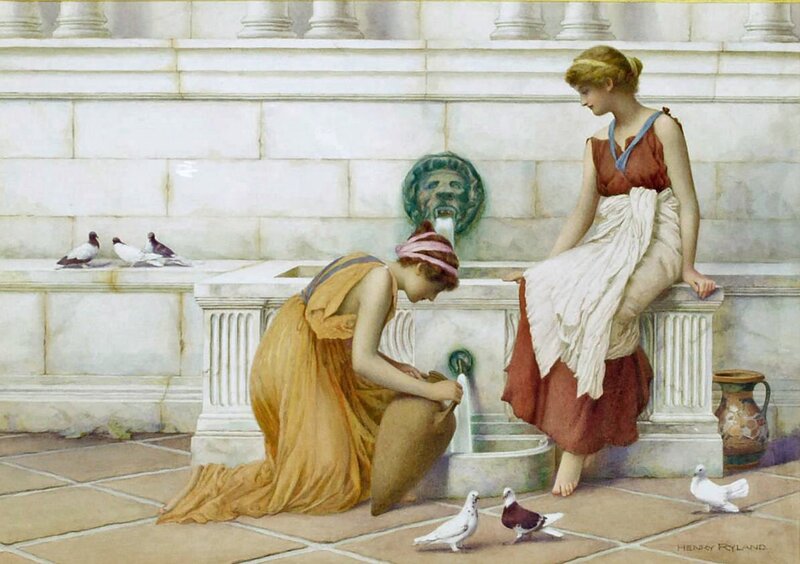 Henry Ryland (1856-1924) was a British painter**, book illustrator, decorator and designer. 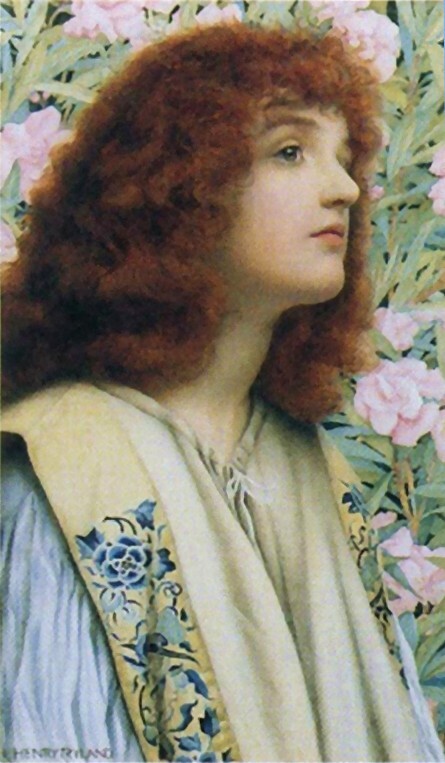 He was the son of John Benjamin and Elizabeth Ryland and was born in Biggleswade, Bedfordshire in 1856. 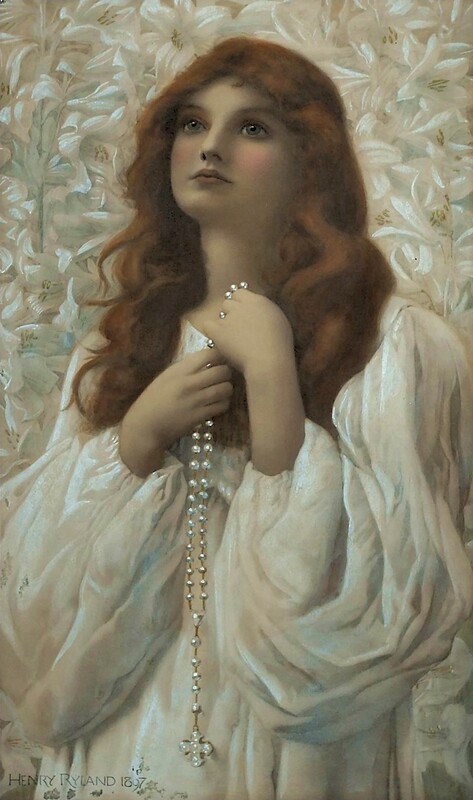 He studied in London at the South Kensington Art School, and at Heatherley's. 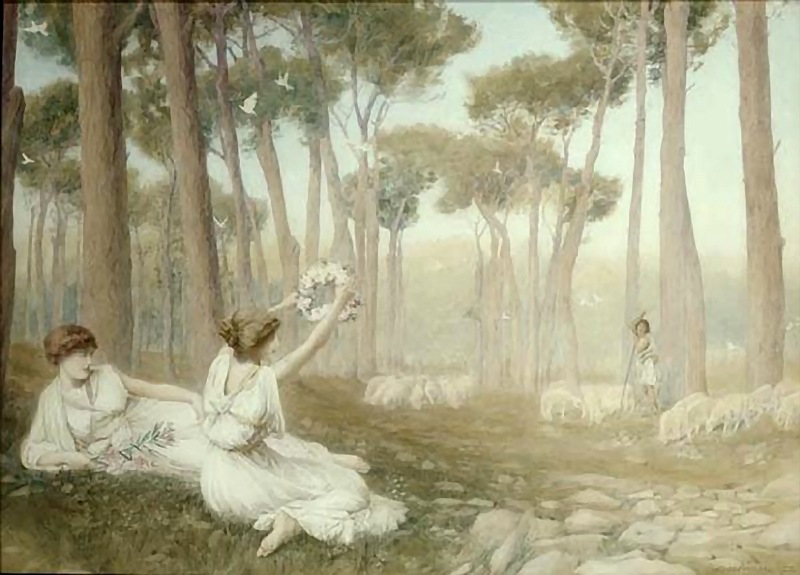 He also studied in Paris under Jean-Joseph Benjamin-Constant, and at the Académie Julian under Gustave Boulanger and Lefebvre**. 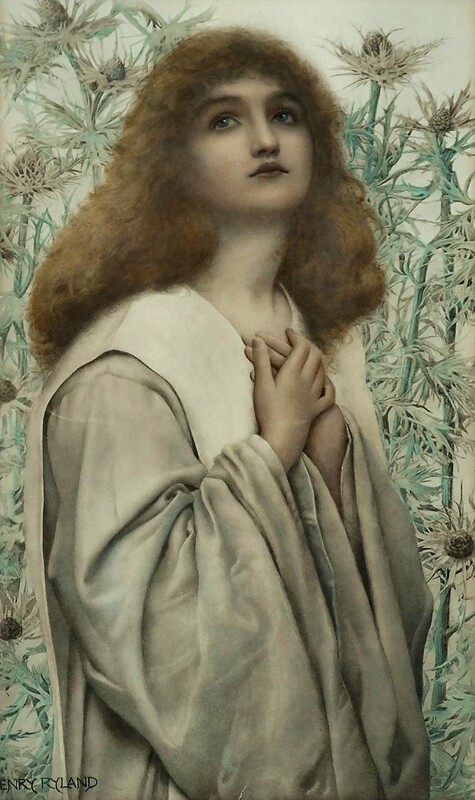 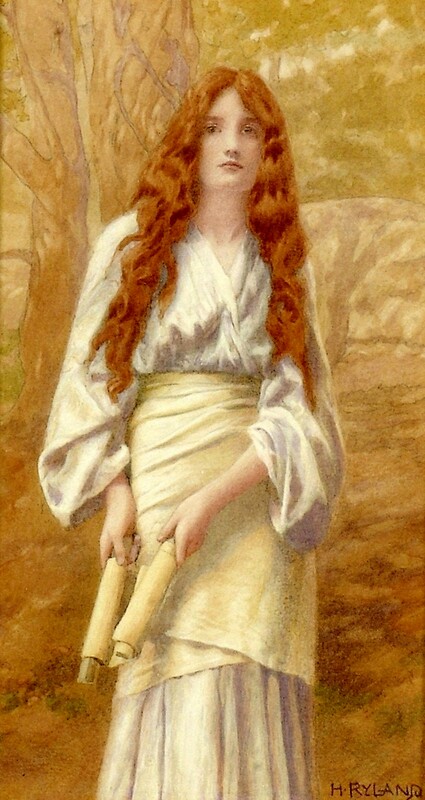 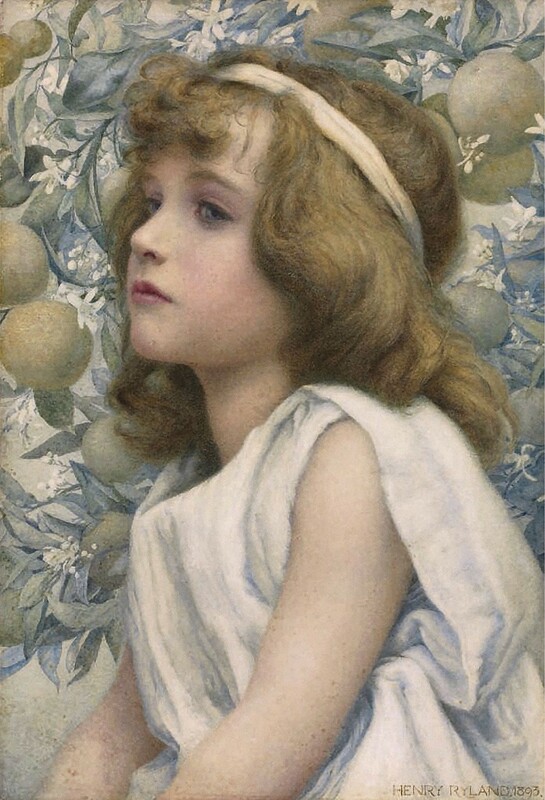 He exhibited at the Grosvenor Gallery, and from 1890 at the Royal Academy. 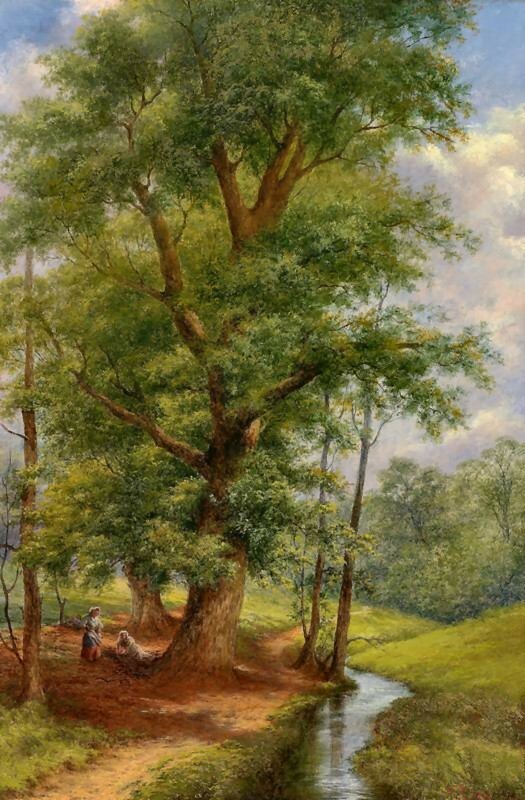 He also was a regular exhibitor at the New Gallery and the Royal Institute of Painters in Water Colours (formerly the New Society of Painters in Water Colours). 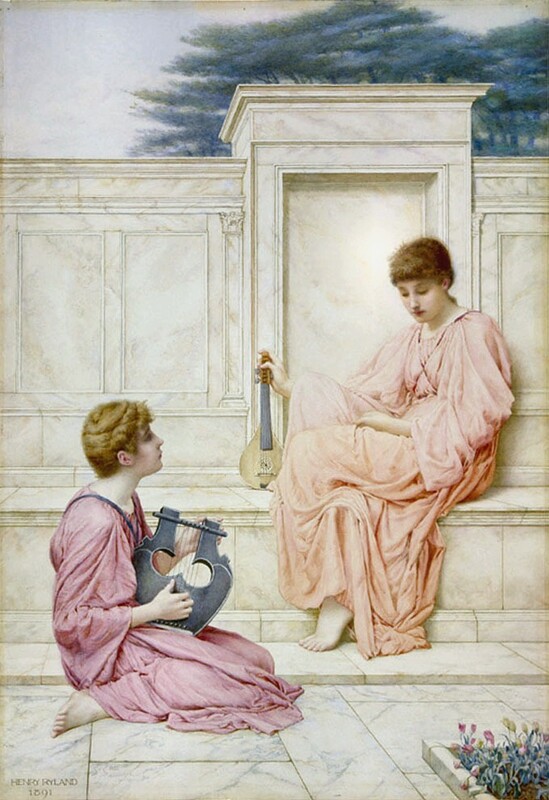 He became a full member of the latter institution. 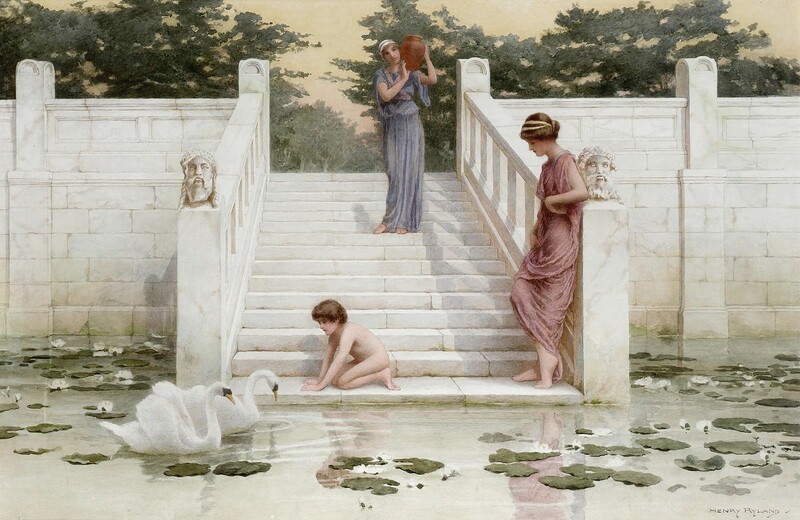 Although he did paint in oils, he specialized in highly finished watercolour paintings containing images of young women in classical draperies on marble terraces. 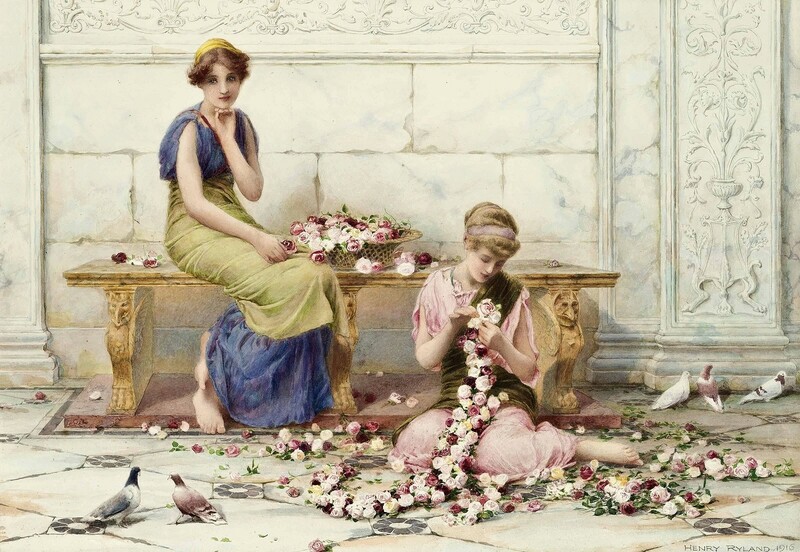 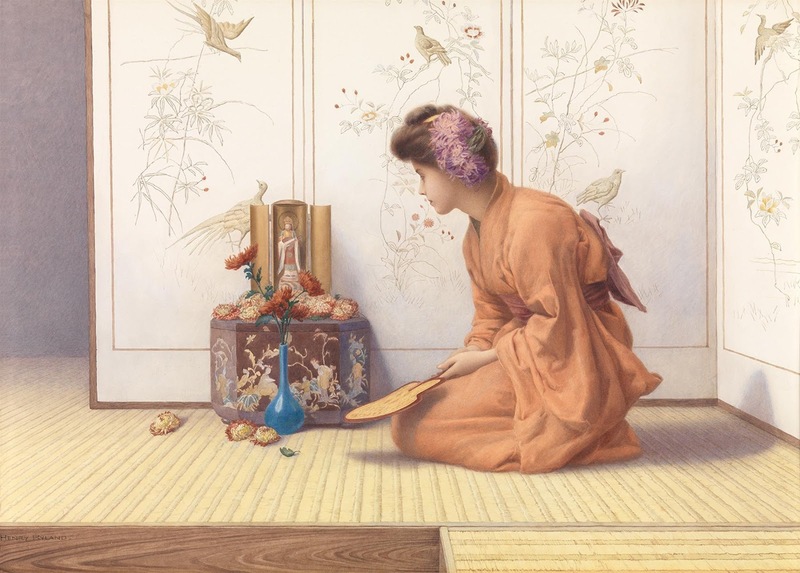 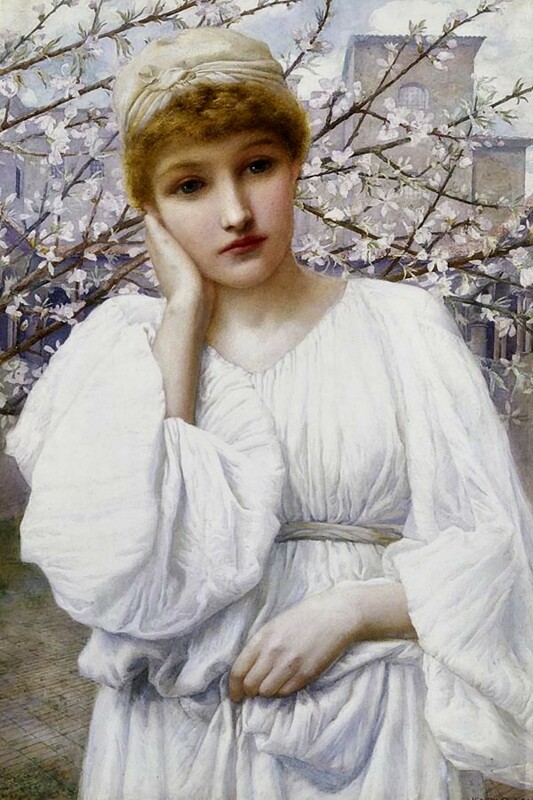 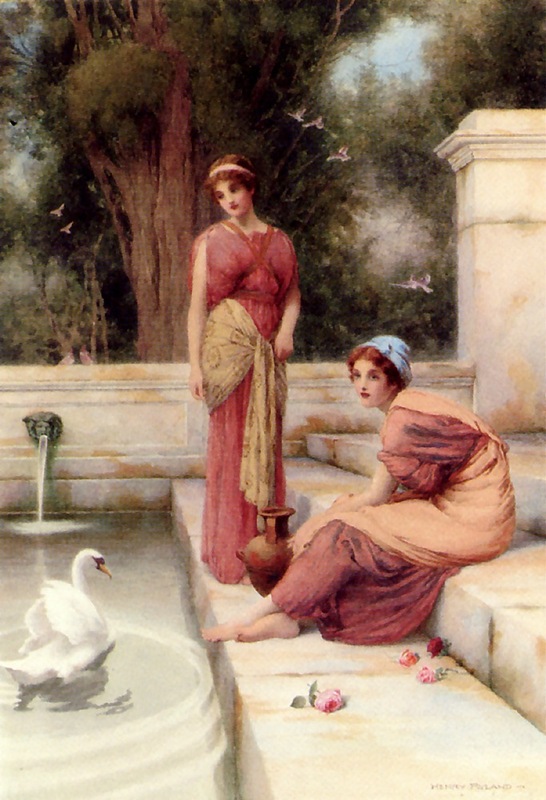 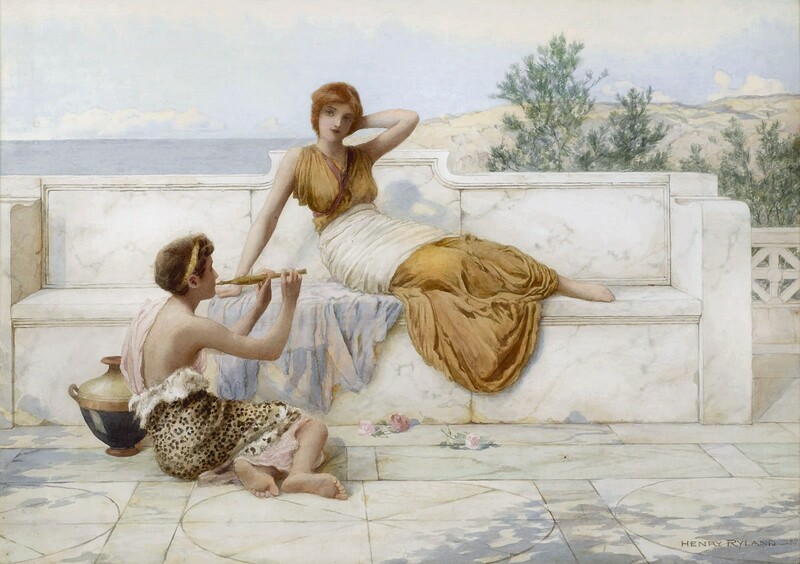 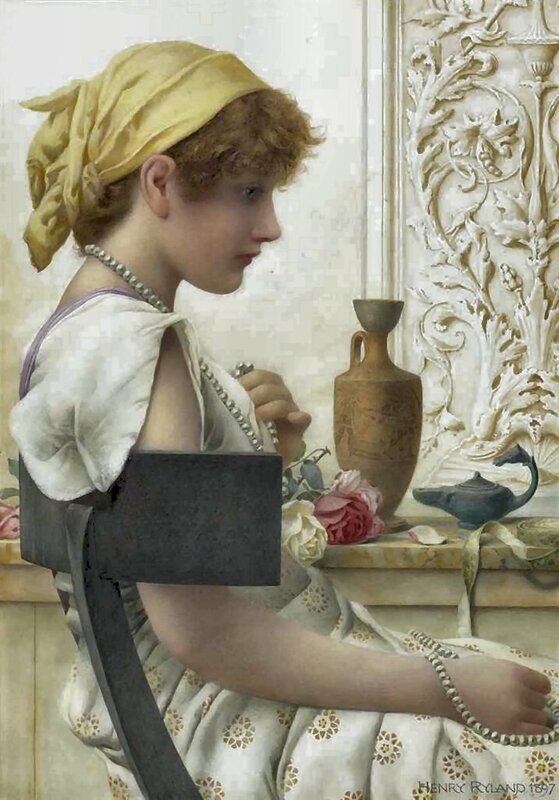 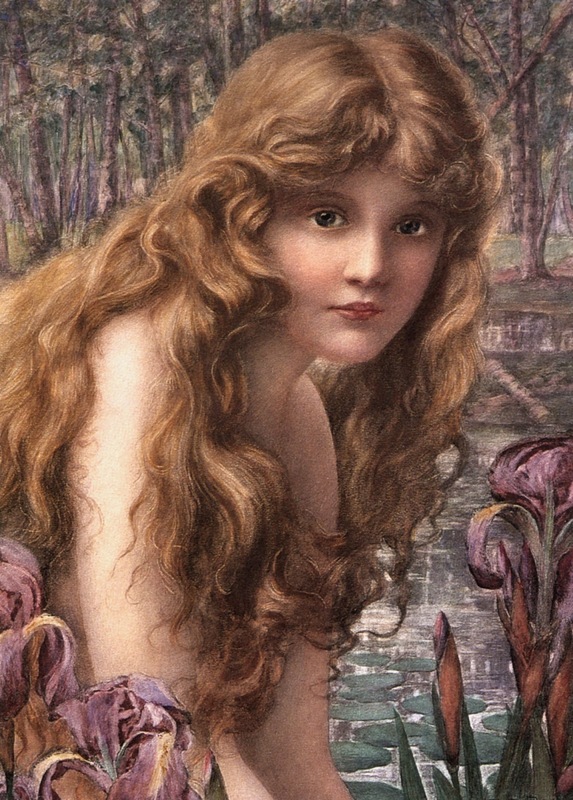 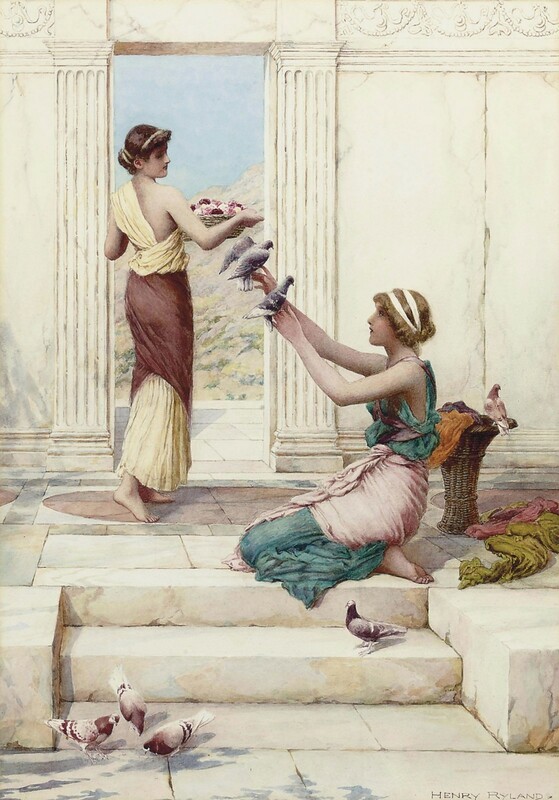 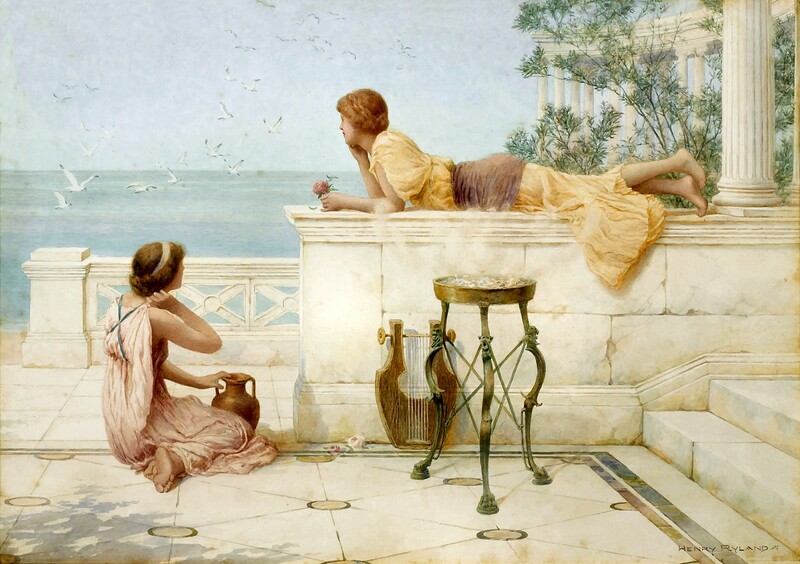 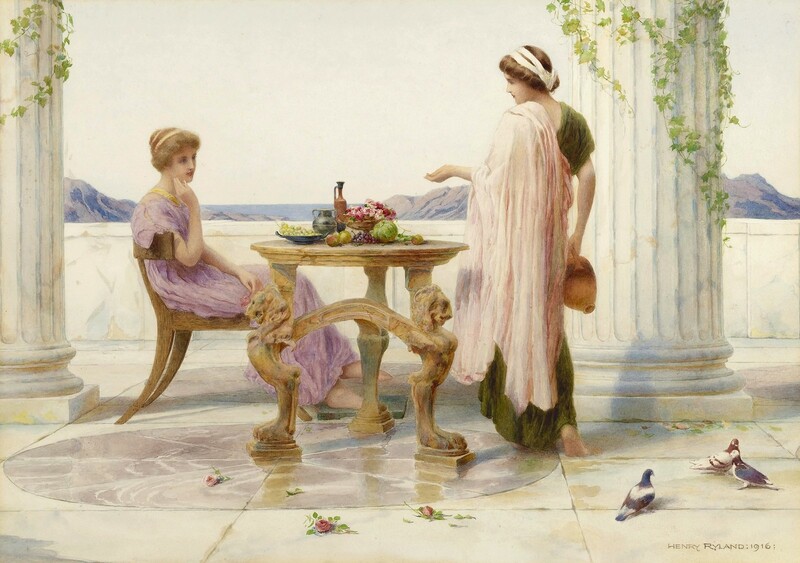 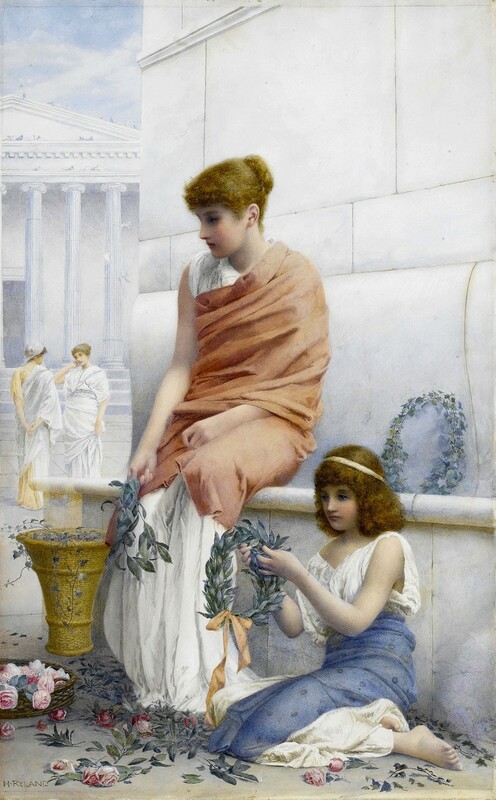 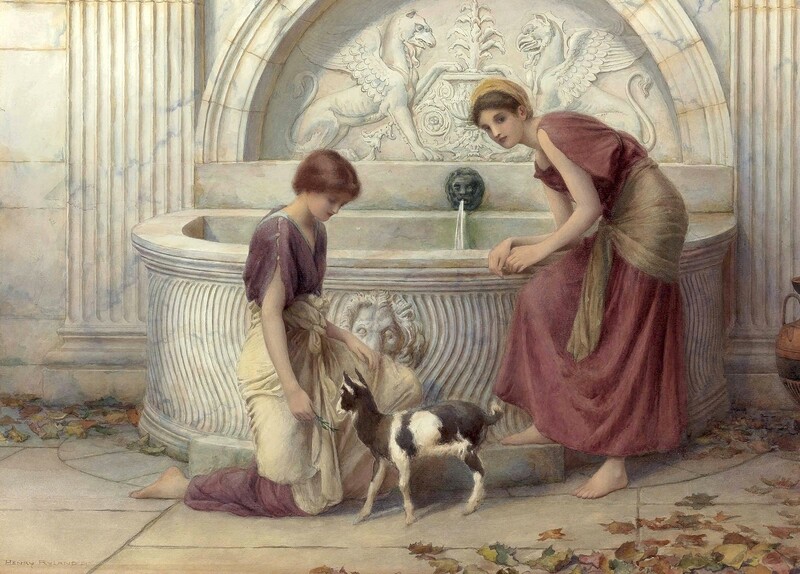 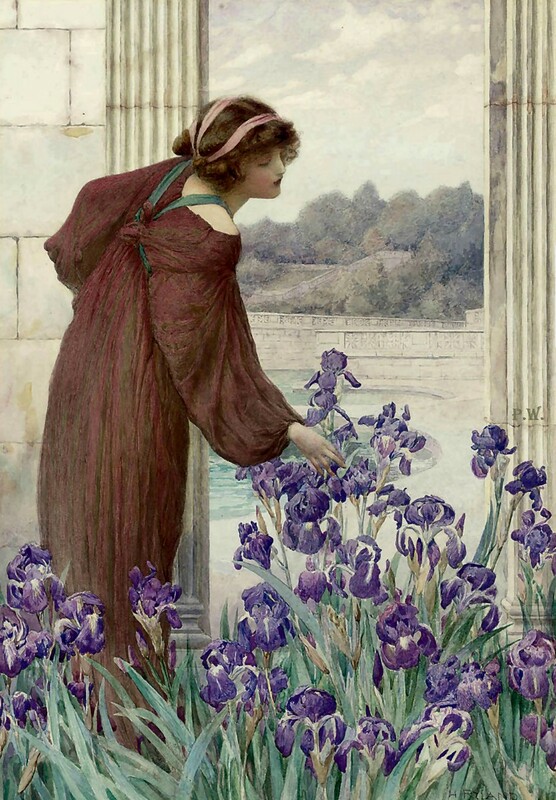 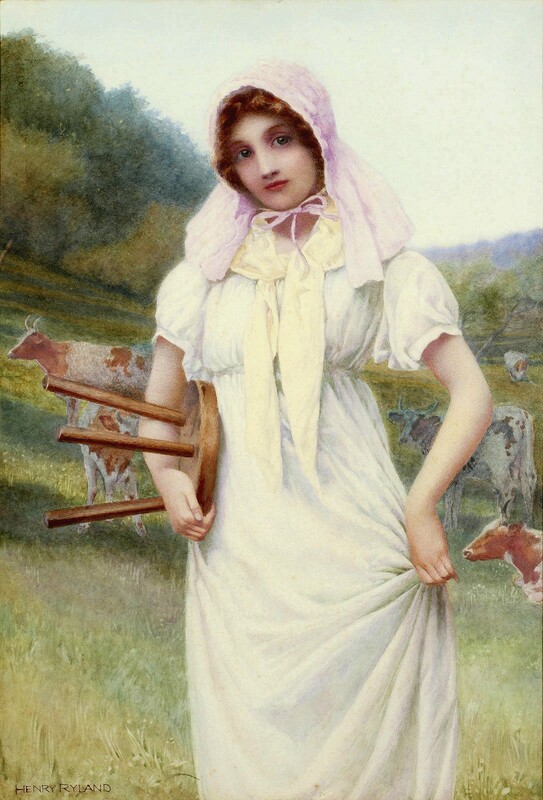 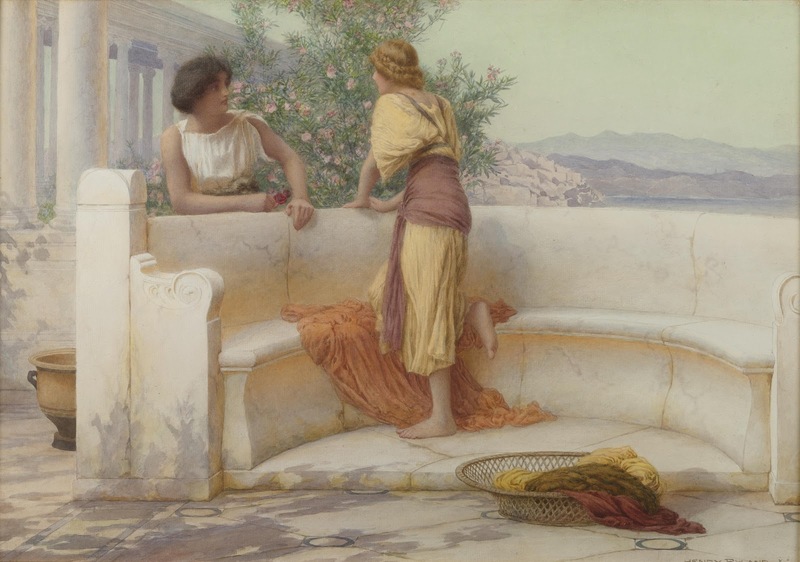 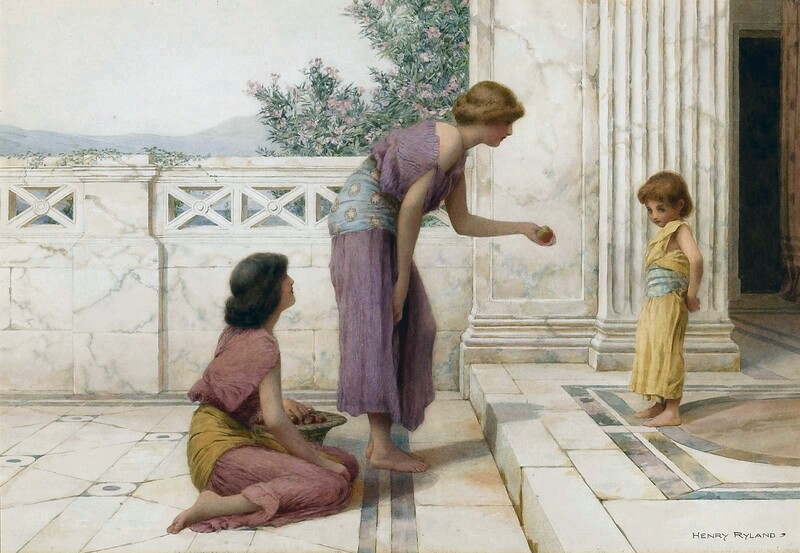 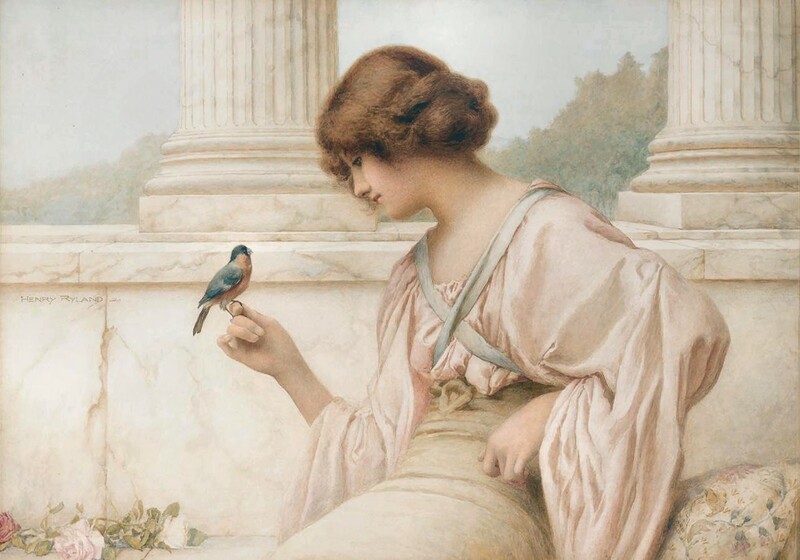 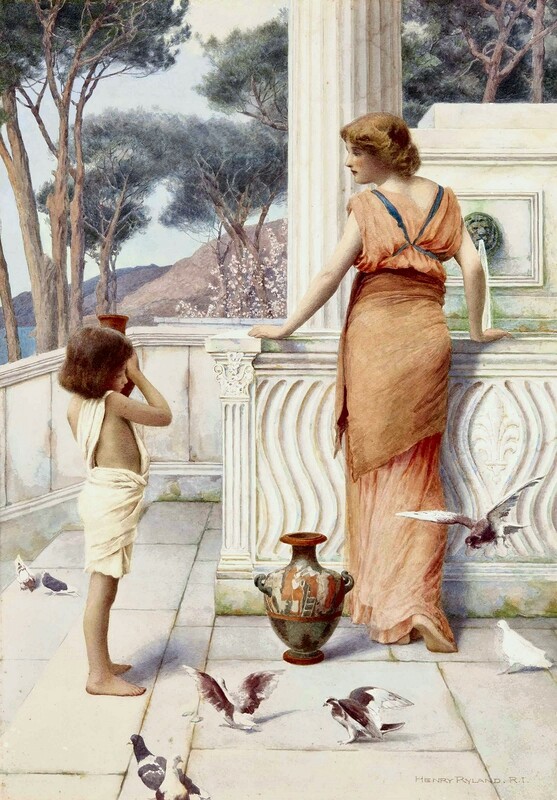 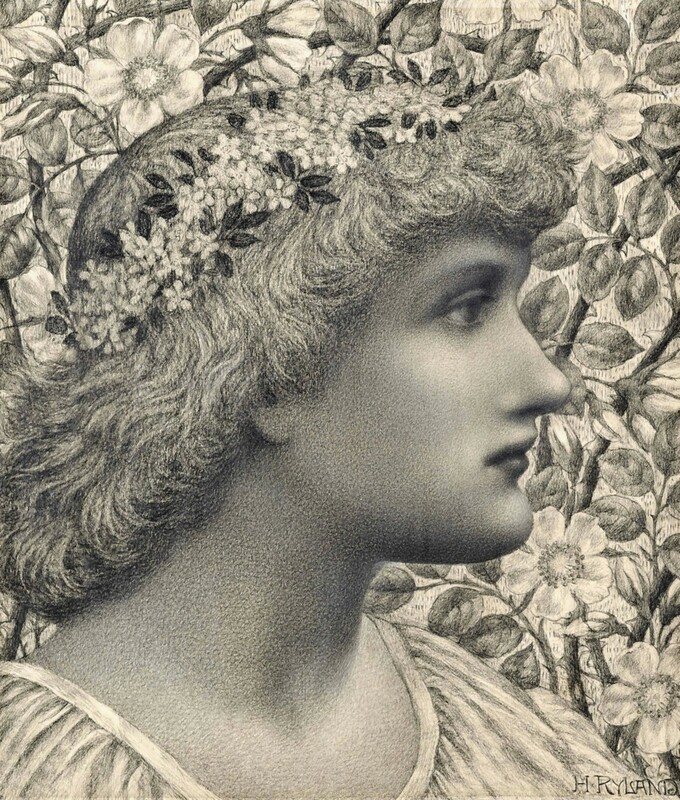 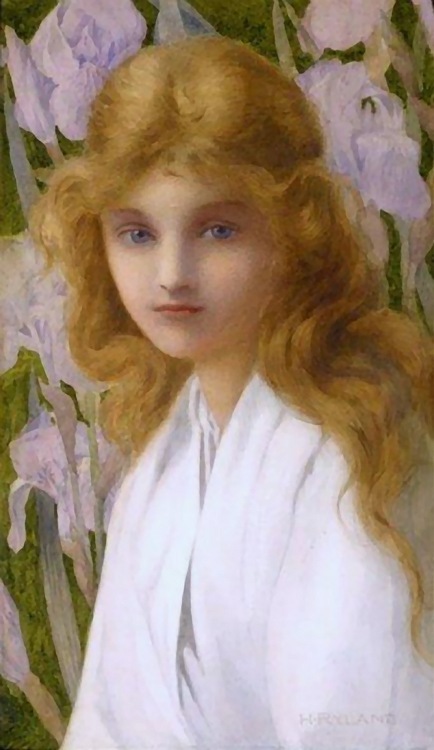 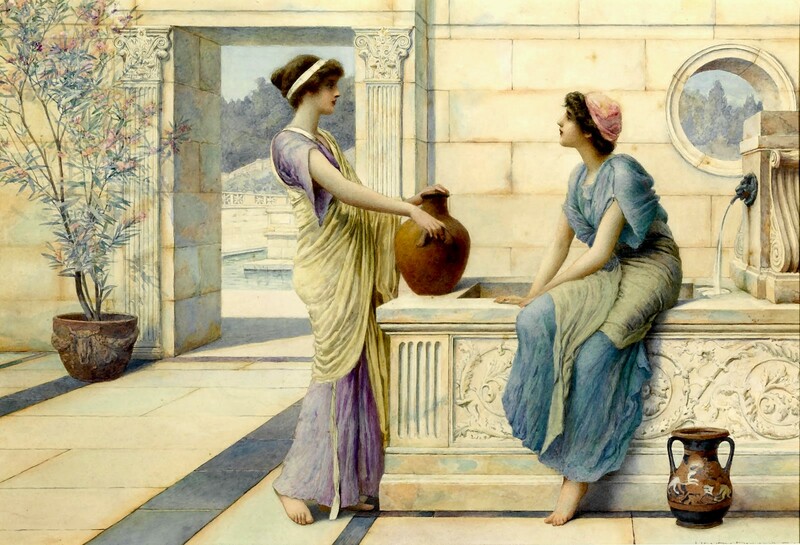 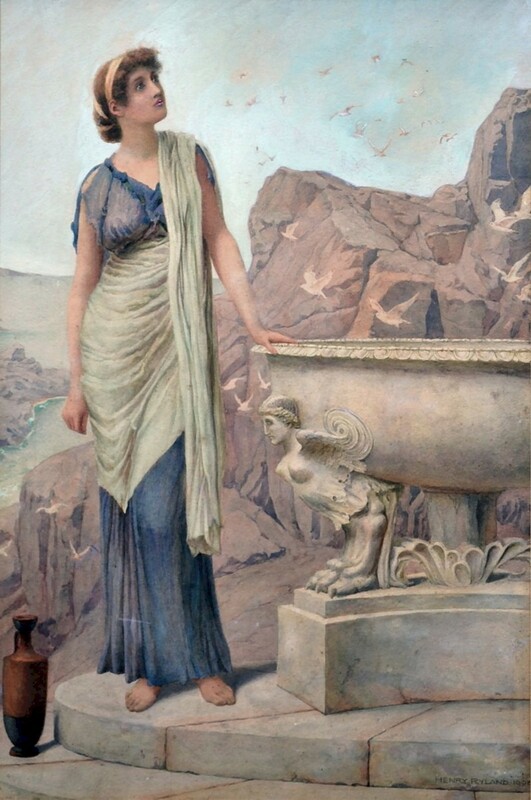 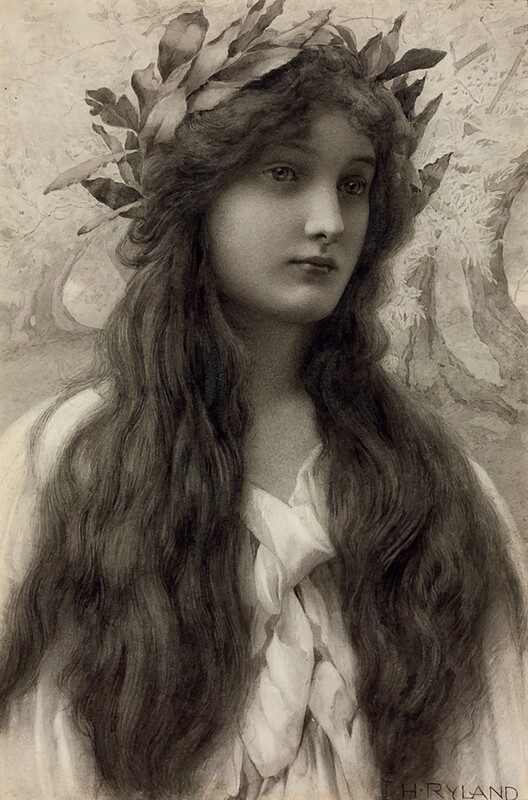 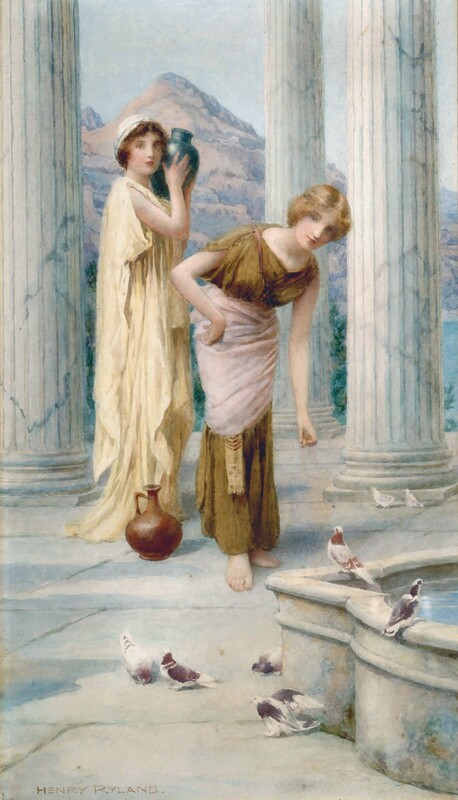 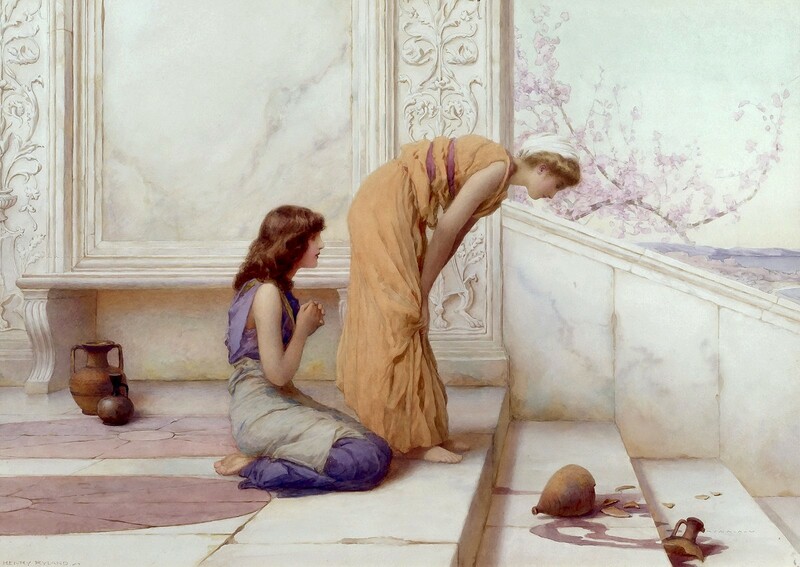 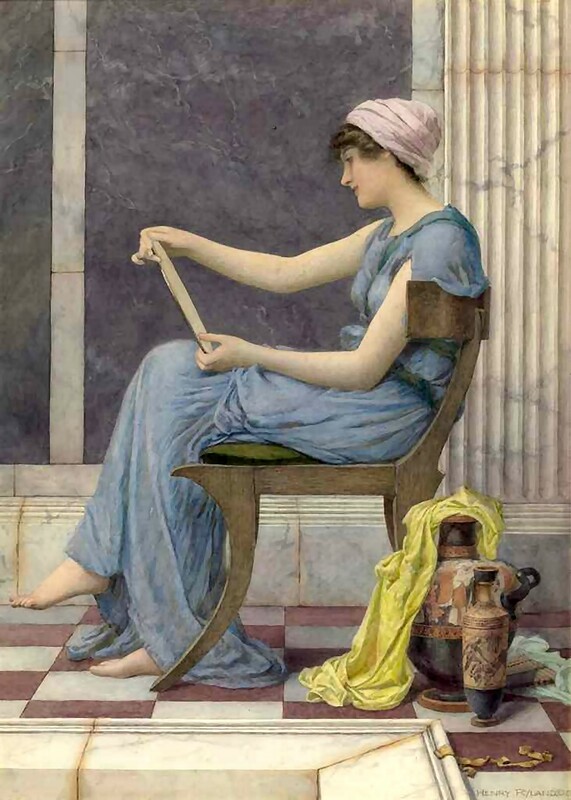 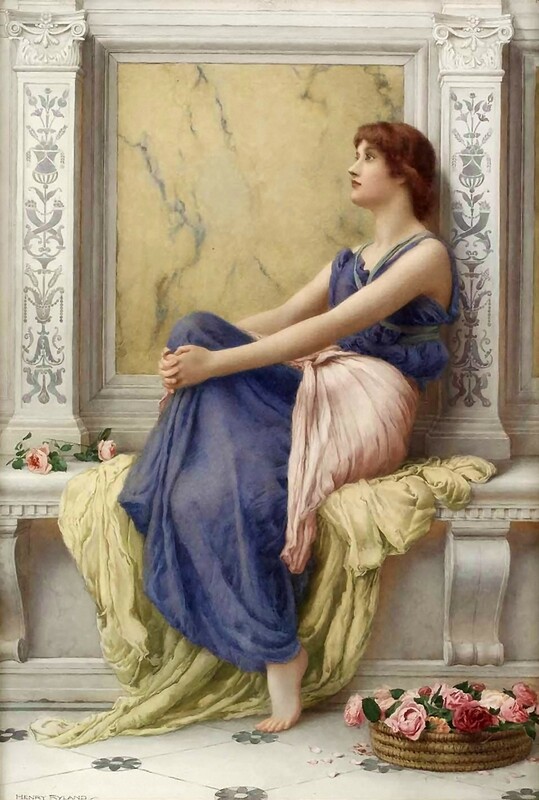 Subjects of this type were popularized by Lawrence Alma-Tadema**, Albert Moore** and J. W. Godward**. 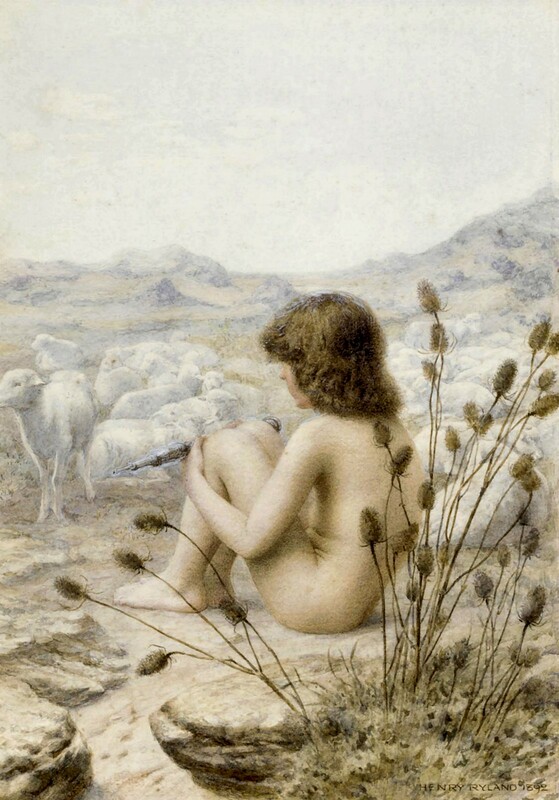 Unlike Moore** he rarely painted nudes. 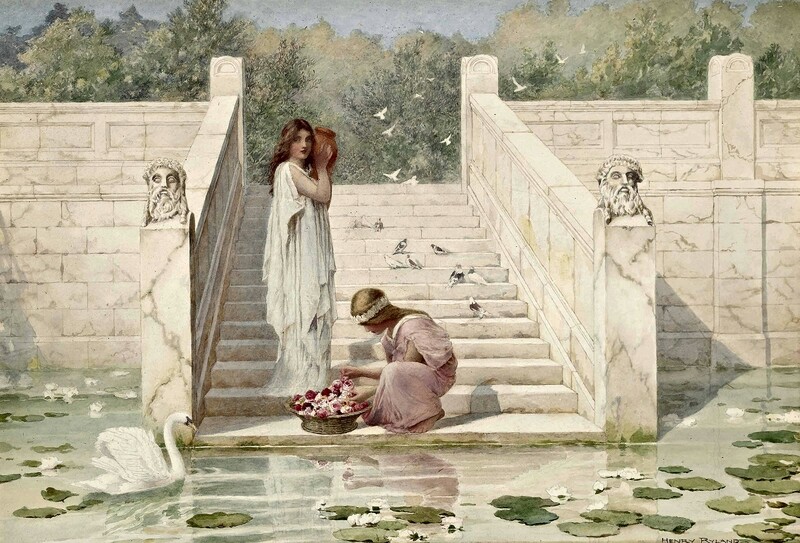 His watercolours were widely reproduced as prints. 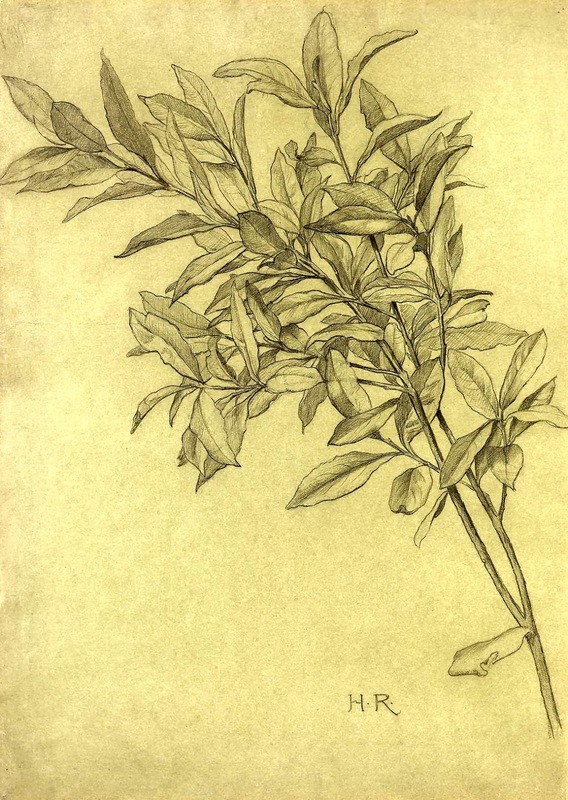 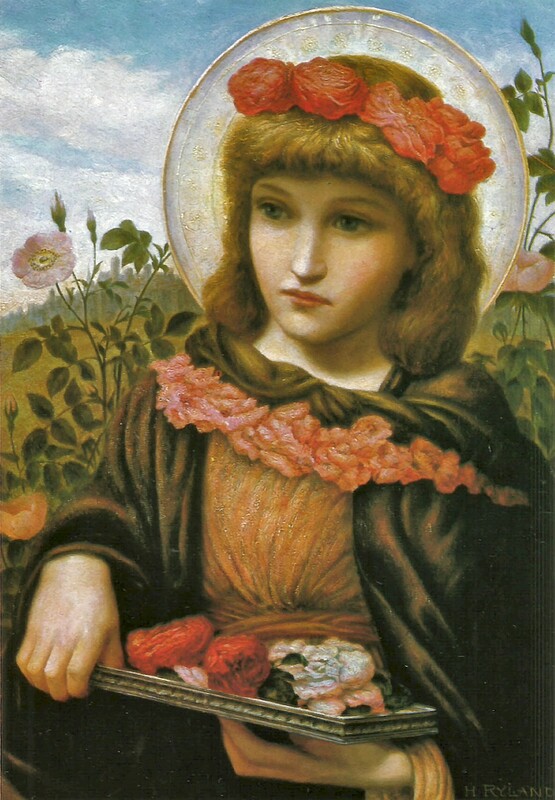 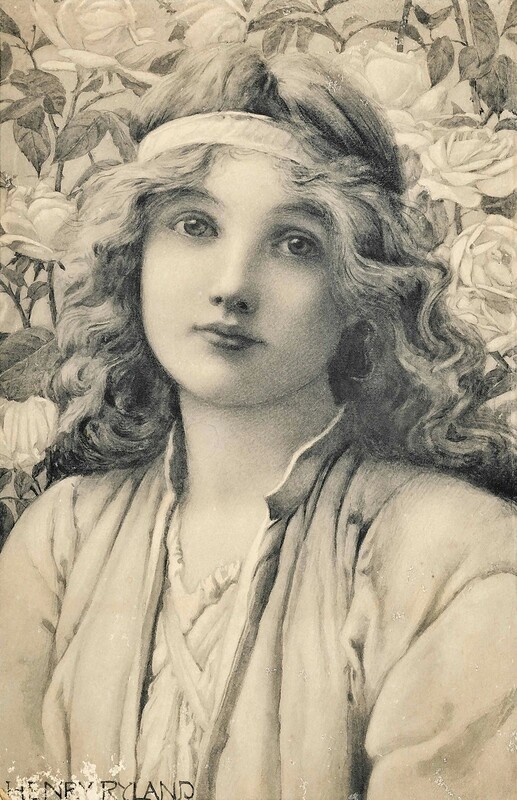 Ryland's style mixed themes from the Neo-Classical and Pre-Raphaelite movements. 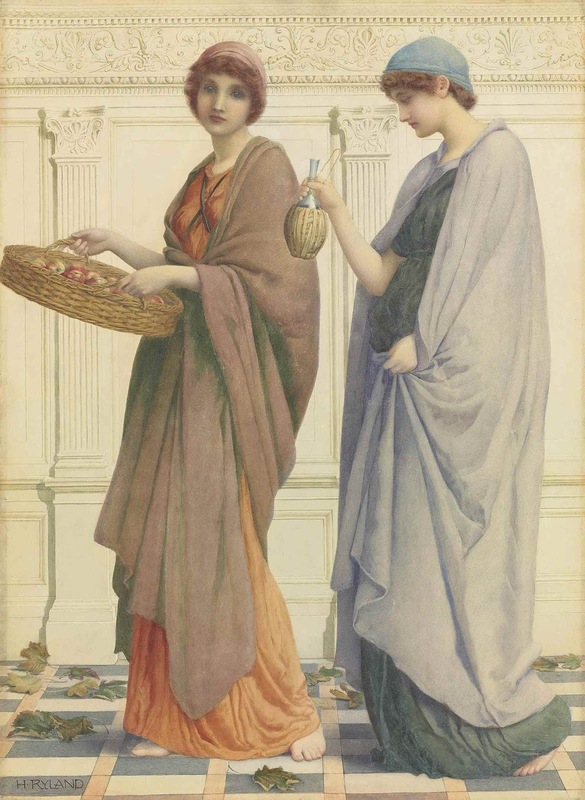 His influences include Puvis de Chavannes** and Alma-Tadema**. 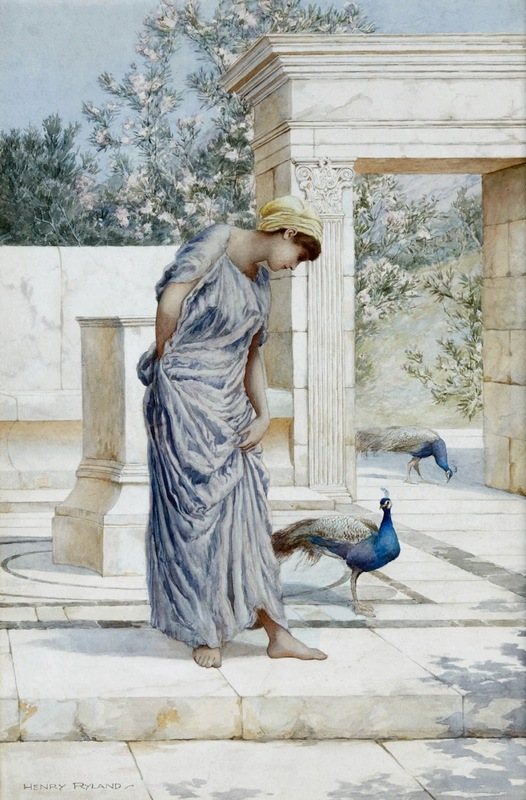 Ryland is recognized as the foremost of the neo-classical painters working in watercolour, and is frequently exhibited at the Royal Academy.